It looks like Stephen Colbert is officially moving. The host of the Colbert Report is saying goodbye to the beloved Comedy Central parody news hour and hello to a different gig on a late night network. CBS has just announced that Stephen Colbert will be taking over for David Letterman when Letterman retires from The Late Show at the end of this year. (I guess that #CancelColbert worked after all.) There are a ton of questions that people have now that Colbert has been picked by the network to replace Letterman. The thing on my mind is, of course, what will Comedy Central do without The Colbert Report?! 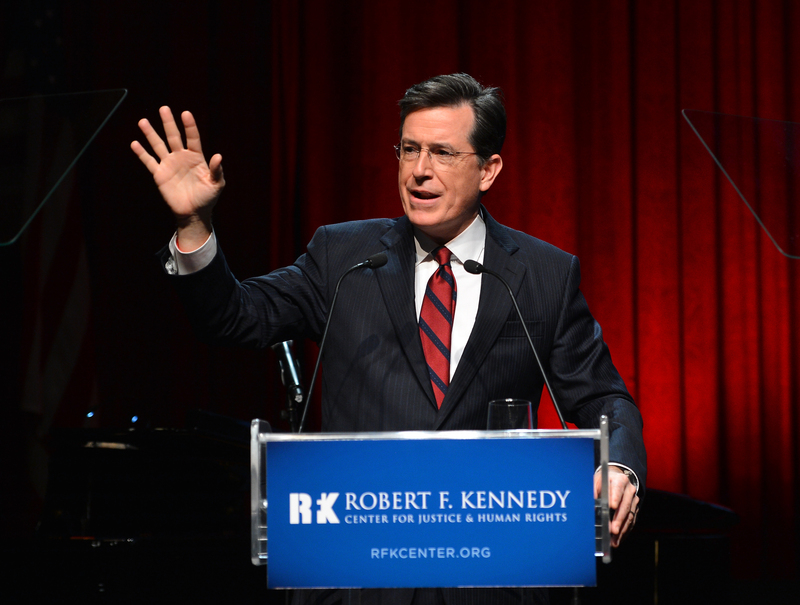 Who is going to replace the big personality and quirky late night show that Colbert brought to the cable channel? While no one will be able to quite capture the magic of Colbert Report, there are some comedians out there who have the power to create their own unique talk show. There are some really talented and hilarious men and women who could do wonders in Colbert's place. It's Comedy Central's chance to really make an impact on the late night scene. Here are the 5 unconventional choices for who should get the next major show on Comedy Central. Originally a YouTube star who wrote classy little tunes like "Rehab Center For Fictional Characters" (don't listen to it at the gym unless you want to fall off the treadmill laughing) Burnham was the youngest comedian ever to have a Comedy Central Half Hour special. Sadly, his MTV2 show from last summer Zach Stone Is Going To Be Famous didn't fare too well on the network. That's probably because Burnham is better being his weird, funny self — making him perfect for a talk show. Preferably one with plenty of musical numbers. I'm obsessed with the cast of Happy Endings as a whole, but when it comes to a fill-in for The Colbert Report I could totally see Eliza Coupe sliding into the seat. I could see Coupe transforming into a Stephen Colbert-esque news anchor behind the desk, possibly taking his schtick to a whole new level. Would love to see Coupe parodying a Nancy Grace-esque character in the vein of Colbert. This frequent UCB performer is already a Daily Show correspondent and had a role on Season 3 of Girls as one of Hannah's co-workers at GQ. Stephen Colbert moved on from The Daily Show to his own talk show... why not have a young correspondent do the same? There's no place for Sue on Glee anymore (and if there is, Jane Lynch needs to jump off the sinking ship ASAP). She's currently hosting Hollywood Game Night which means that she already has some experience under her belt. I mean, come on. It's Aziz Ansari! He kills it every week on Parks and Recreation and even hosted the MTV Movie Awards back in 2010. He wouldn't need a schtick outside of being himself. Ball's in your court, Comedy Central!